The rich get richer and the poor get poorer. It’s such a cliché. I hesitate to even use it, but the phrase pretty much sums up what is happening right here in Sioux Falls. Well, perhaps that isn’t completely accurate. It’s not that the rich are getting more money while the poor get less. Rather, there is a growing gap between the wealthy and poor citizens of Sioux Falls. Unemployment is at an all time low at just 2.3 percent. Also, data from the city’s planning department shows Sioux Falls citizens are getting more education and earning more. Unfortunately, the poverty rate has grown as well. 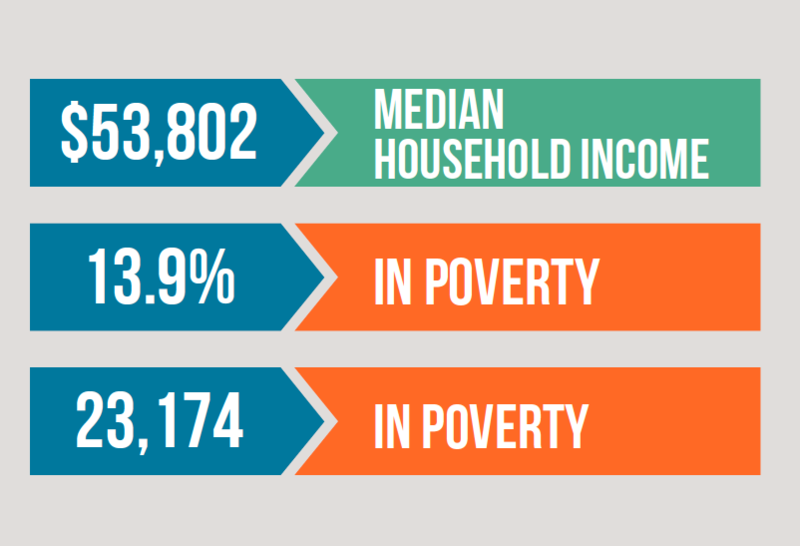 Today, 13.9 percent of people in Sioux Falls live in poverty. A study conducted by Augustana University says “Sioux Falls is seeing growth at both the high-income and low-income ends of the spectrum.” The study also projects that Sioux Falls will lose 1,900 middle-income households over the next five years. In other words, our middle class is disappearing. Let me repeat that last statistic for you – almost 40 percent of school children qualify for free or reduced lunch. Although, these children are getting lunch at school they may not get a healthy meal at home because parents have to pay for other things like rent, mortgage or utilities before putting food on the table. As our population grows this problem is only going to get worse putting burdens on our school system and our community that we may not be ready to handle. This is where Project Food Forest comes in. One of our goals is to combat hunger. We believe the most effect way to do this is to grow more food locally in Sioux Falls. We have the space! There are lawns, parks, empty lots and other public spaces that could be used to provide fresh, healthy food for our entire community. Imagine a child walking to school. He didn’t get breakfast that morning but he’s going to be ok because on the way there he walked through his local food forest and picked up an apple that was ripe from the tree. Imagine the single mom who can’t afford to buy healthy food from the store. Luckily, a local church in her neighborhood has a food forest and community garden where she takes her kids to volunteer on the weekends. Her children are learning where food comes from and get to have a meaningful connection with nature. Plus, they come home with fresh produce. Not only are her kids eating healthier but the single mom is too. 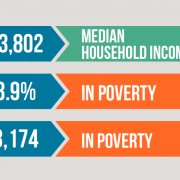 Poverty causes numerous problems and it’s a cycle that can be hard to beat. We know that a food forest won’t solve all of the issues caused by poverty but we know we can help feed people. Of course, food forests take time to grow so we have to act now in order to be prepared for the future. You, of course, can help in numerous ways – donating, volunteering, planting food on your property or helping us find land for a future food forest site. We appreciate your support and can’t do it without you. What if hunger was no longer an issue in Sioux Falls? Think of how much more resilient and happier our community could be. This article was written Jackelyn Severin, Executive Director of Project Food Forest. Photo is from the city’s planning department webpage.